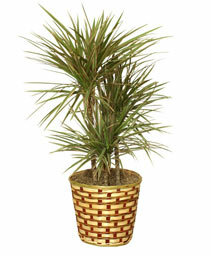 Available in white, pinks, and white/pink bicolor. Just ask! 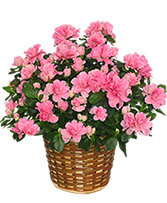 A beautiful flowering azalea plant is a delight to enjoy year-round. 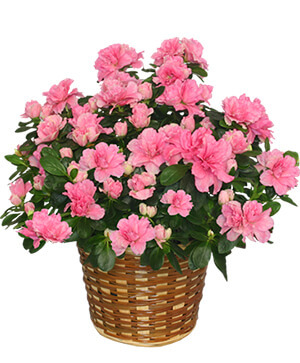 Azaleas are an outdoor plant that thrives in shade or partial shade. Bring them inside to enjoy the beauty and then plant in the garden for years of memories. Azaleas are also available in a topiary form, great for patios and doorsteps. 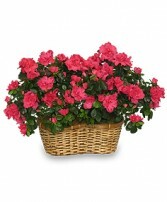 Colors available for Valentine's Day 2011 are the color shown (pink) or a deep magenta pink/purple. 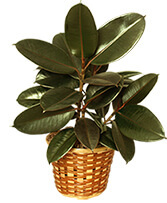 Please specify preference. Orchids are available planted as single plants($40.00) or 2 plants together in a stunning display($70.00). 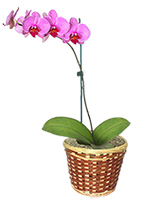 All orchids are potted in ceramic or stone planters and adorned with willow branches and/or decorative wire accents. 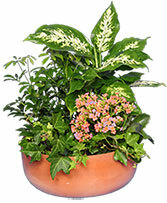 With very little TLC, these two flowering plants can flourish in a garden and bring more enjoyment year after year. Available in white, pink, and white/pink bicolor. Plants liven up a room and are wonderfully enduring gifts that show how much you care, anytime of year! 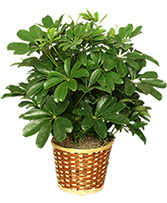 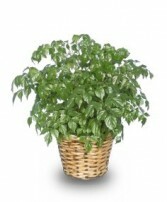 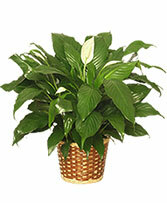 We will help you choose the perfect indoor or outdoor plant variety for anyone or any occasion. With just a little TLC, your gift of live plants can flourish and bring continued enjoyment year after year. 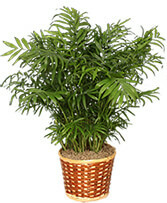 We offer a full selection of blooming orchid plants and an extensive collection of dish gardens and custom plantings. 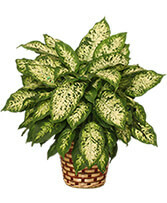 Browse our selection for identification of tropical and exotic plants, including colorful Bromeliad and dramatic Dracaena, as well as traditional favorites, like the easy-to-care-for Peace Lily, Pothos, Philodendron, etc. 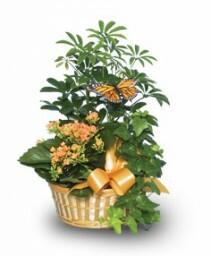 Send a living message today with a plant from Oakdale Flowers & Gifts!